Roll up, roll up, the 17th Sydney Biennale of Art is in town. Designed to do more than just entertain by a ringmaster who has heralded it a show for wonderment, where cultural boundaries have been broken down and power distributed evenly. It is no small task to unify the work of 440 works by 166 artists in seven different venues. This year’s curator David Elliott has given the biennale the wordy title ‘The Beauty of Distance: Songs of Survival in a Precarious Age’. Much of the work in the Biennale examines themes derived from this changing world, such as the failure of capitalism and the destruction of minority cultures. As can be expected with a huge body of work exhibited the examination of these themes is highly varied. Many of the headliner exhibits such as Cai Guo-Quiag’s Inopportune: Stage One (above) and Kader Attia’s Kasbah (below), an installation of shanty town roofs are crowd pleasers in playing into the disneyfication of art. 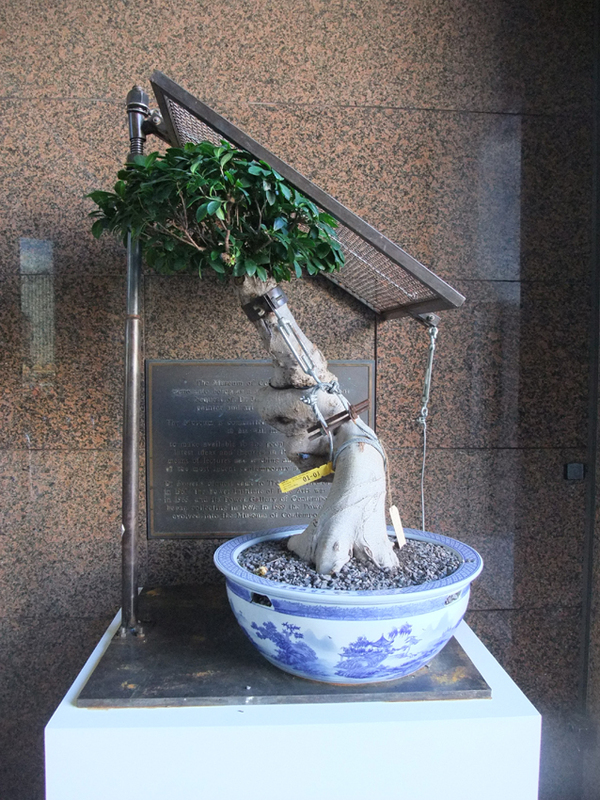 Beyond the distraction of the big hitters there is subtle and moving exhibits. Much of the video art is very successful including that from Russian art group AES. 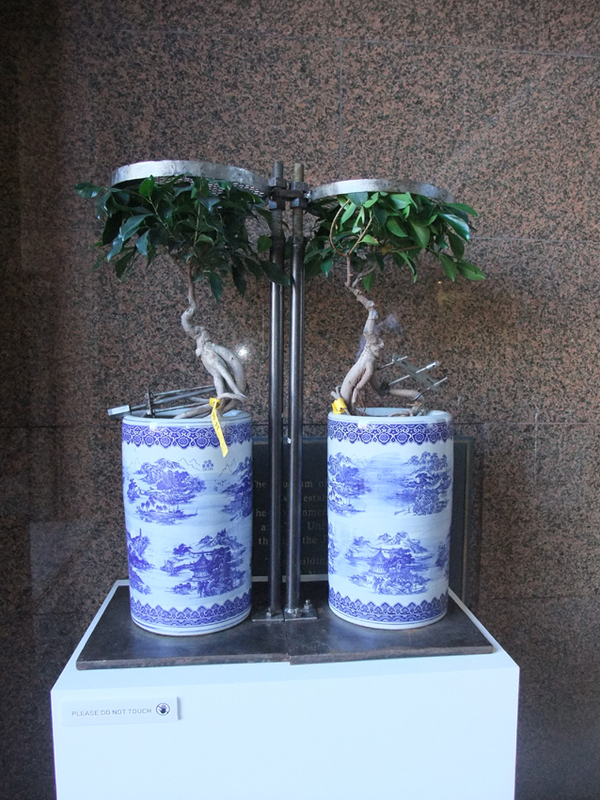 The Museum of Contempory Art has lots of interesting work such as that by the Chinese artist Shen Shaomin who examines the theme of man’s destruction of nature with a group of Bonsai trees (below) manipulated into contorted shapes with instruments of torture. Beyond the successes of particular exhibits the overarching achievement of the Biennale is the reinvention of space through the art. 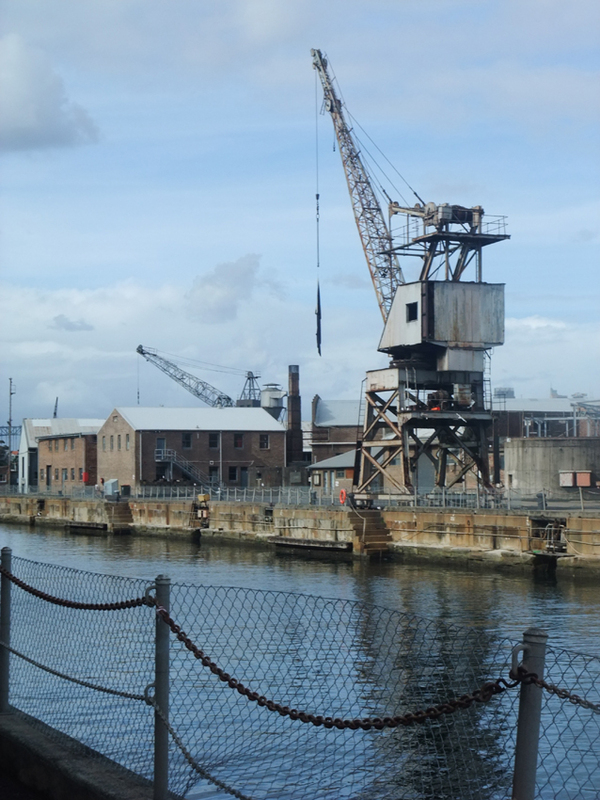 The most significant space to be used is a non-art, post-industrial island in the centre of Sydney Harbour. 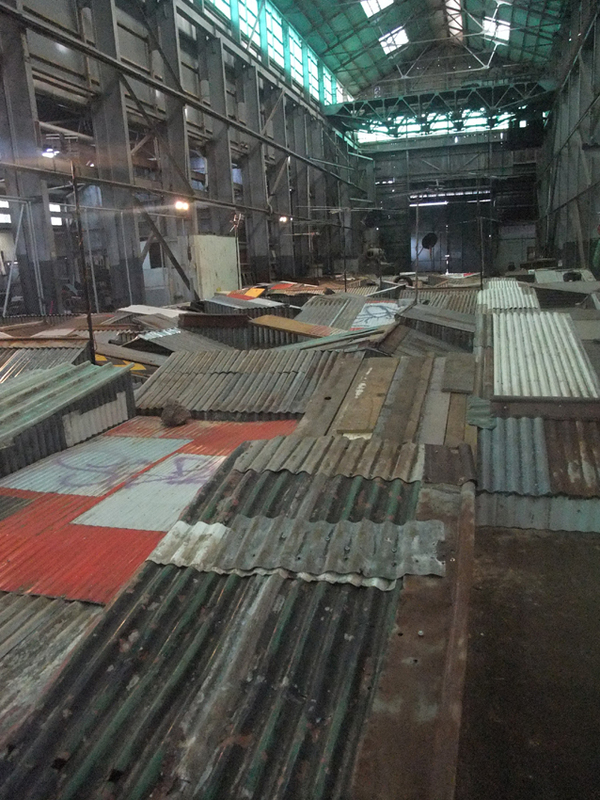 Cockatoo Island (dry dock, below)has had many incarnations and this varied history is still clearly marked on the landscape. Visitors are brought to the island with a free ferry service. 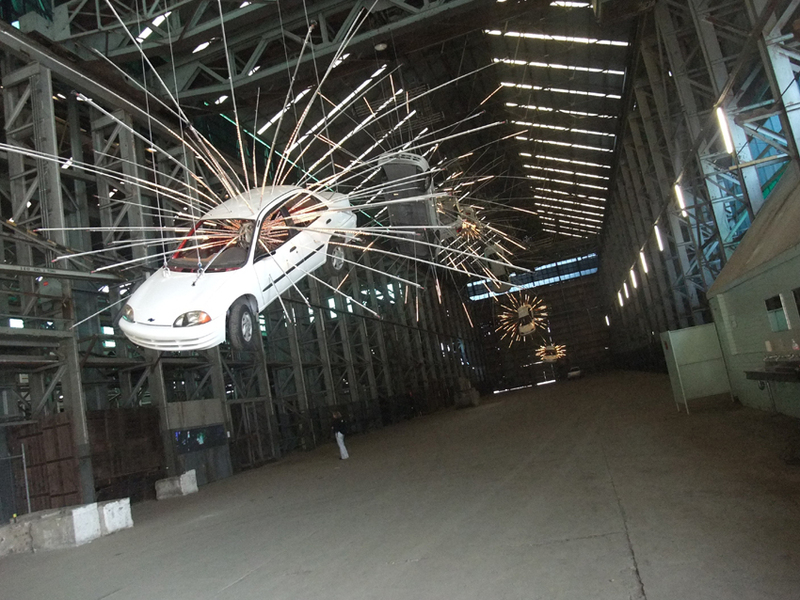 Much of the experience of the art on show is heightened by the landscape of Cockatoo Island. The ferry journey creates a sense of escapism likened to a drum roll that builds anticipation. 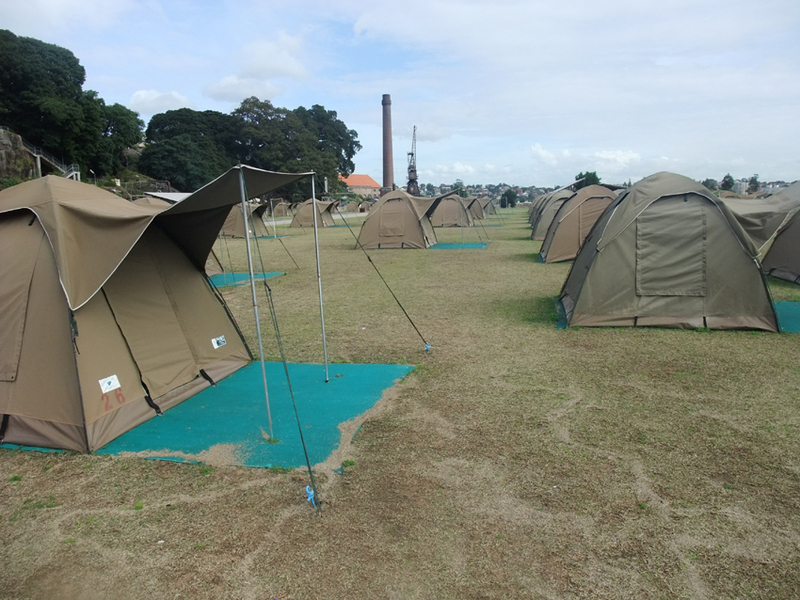 Then upon arrival the visitor is left to discover the art in an isolated place that has been a prison, reform school, navel training centre, shipyard, holiday resort (hire a tent! below), all are functions; are all very evident but redundant during the biennale. It is in this juxtaposition of art with historical relic where the real success of the biennale lies. The reinvention of the island into art gallery is a sensitive use as it is arguably non commercial, yet has the ability to draw many people to the space whilst simultaneously allowing an examination of its prior uses.